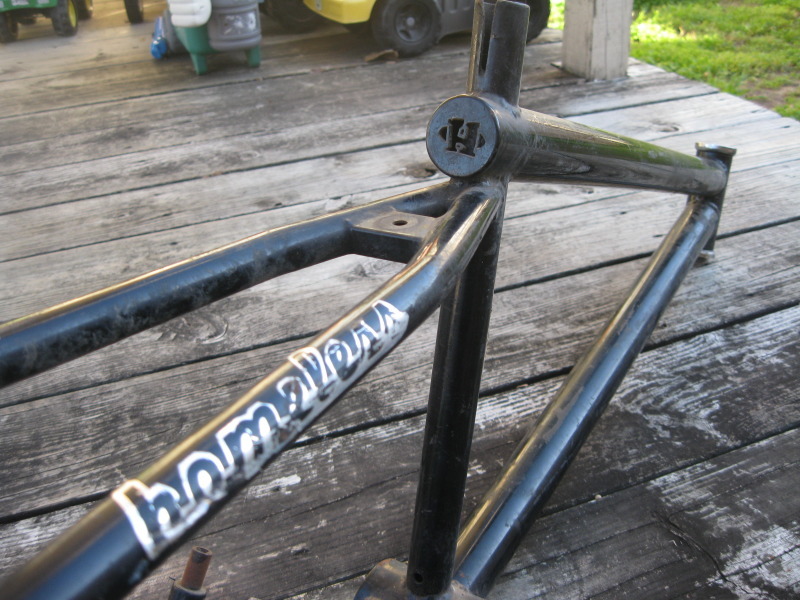 There’s a thread going on right now over on Vintage BMX discussing the pros and cons on installing rear fenders on race cruisers. Turns out GHP racer Todd Parry is running a carbon fiber (?!) 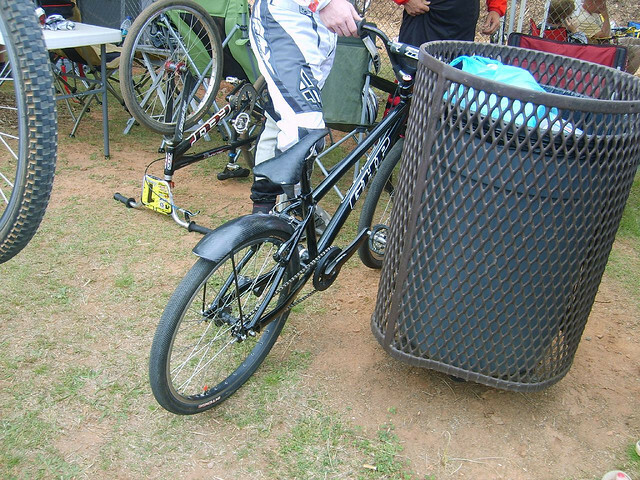 fender on his race cruiser to avoid “being sucked in between the tire and the seat”. And while the different sanctioning bodies tend to frown on these kind of things, it appears that track operators are letting the use of fenders slide. Seems a little goofy to me. Joe Cicman and Danny Sirkin threw down some serious flatland moves on a 24″ last year in two installments of TwoFourFlat. This time taking a 26″ Volume Sledgehammer through its paces and teaching the big bike some new tricks. The 4130 Subway Series celebrated two years of their epic rides this past Saturday. In typical 4130 style, the ride was 300+ riders strong with smiles a plenty. A tip of the hat to the 4130 crew for keeping this awesome ride going. In honor of this milestone, here are two web edits of the big night. Jim C has been putting in some serious riding time in on his Sunday Wave-C which has resulted in some seriously rad pictures showing up on the interweb lately. Today, Jim scored some coverage on Defgrip with this Rick Crossman photo of a tight bank to wallride in Austin. This is in addition to some cool shots that he posted over the weekend (that you can check out on the Cruiser Revolution Facebook page). Follow Jim C. on Instagram for more cool photos of him shredding his Wave-C. Does the T/A stand for totally awesome? If you were on the Cruiser Revolution Facebook page over the Christmas holidays, you’re already in the loop on this. If you weren’t, let me give you the scoop. 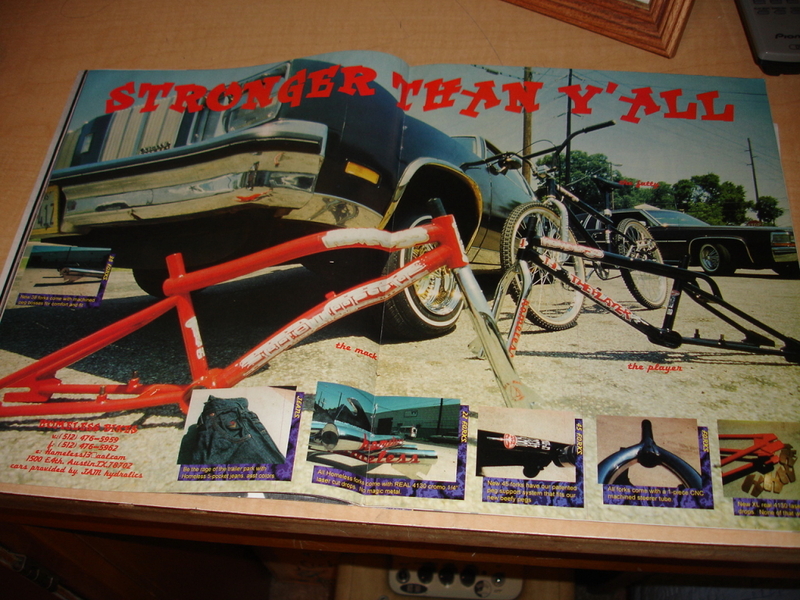 Back in 1982, Skyway came out with the T/A frame. T/A stood for “Totally Aerodynamic” and featured teardrop-shaped tubing that made it an instant classic. It was widely available as a 20″ and Skyway was said to have produced thousands over the years that it was available. However, despite the 20’s popularity, Skyway decided to only produce a 24″ version in limited quantities. 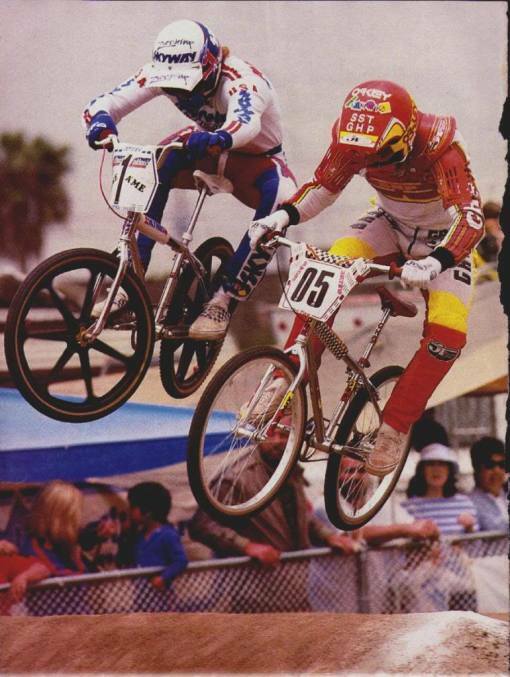 You pretty much had to be a factory rider like Richie “The Avalanche” Anderson to get a hold of one of these puppies. 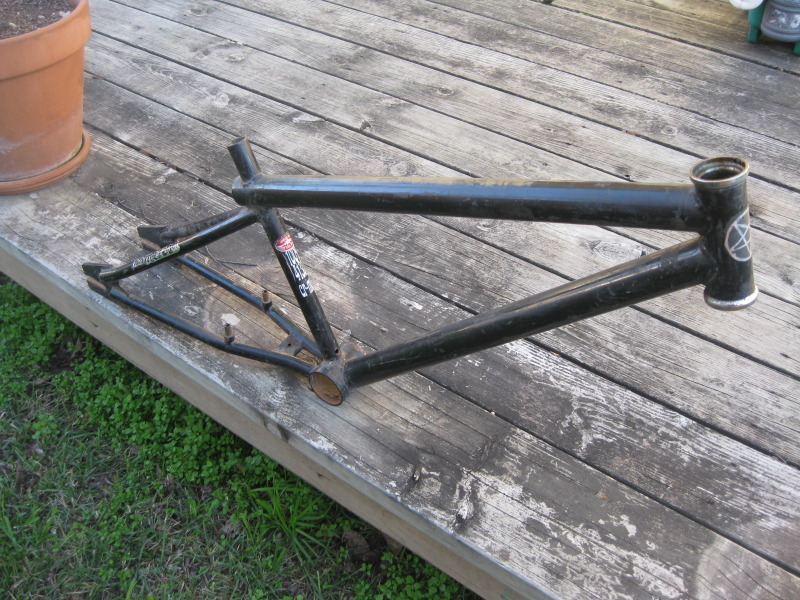 But now PlanetBMX and Skyway are working together to bring a 24″ Skyway to the masses. It’s going to stay true to the original classic design but have a few modern elements thrown into the mix. I just love the look of these frames…especially the chrome ones. Throw on some black Tuffs and some skinwall tires and you’ve got a serious looking machine on your hands. Park Tool products have a strong reputation for quality. When you’re using a tool from Park you know you can rely on it. I like using them because it appeals to the bike geek in me to be using the same tools that bike mechanics use. That’s why I was so stoked to get the Park Tool PZT-2…their Pizza Tool!…for Christmas from my good friend Lynn. 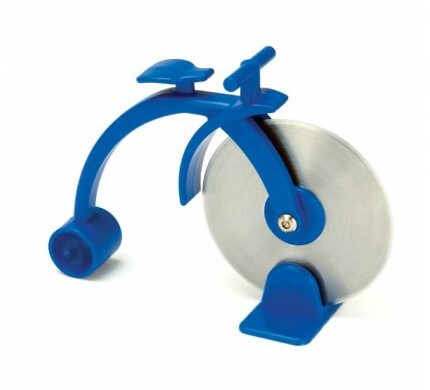 Featuring a large diameter stainless steel cutting wheel and a large handle for easy grip, this thing cuts through pizza like nobody’s business! 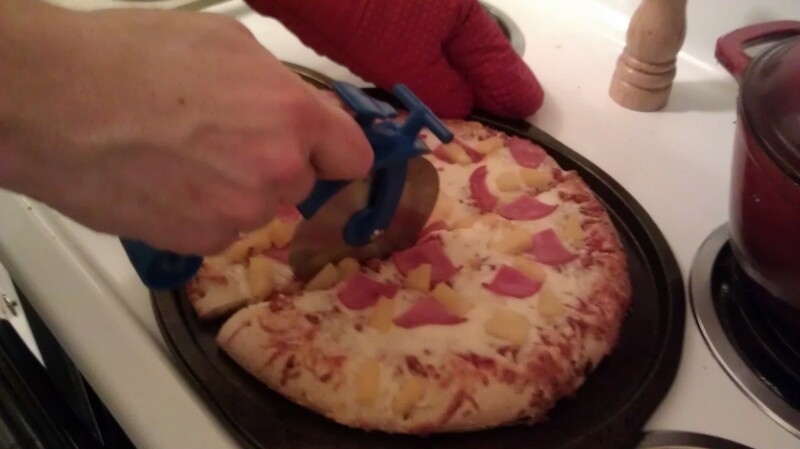 I tried it recently on a Delissio Hawaiian Pizza and it worked like a charm. If you’re into bikes and you like pizza, I highly recommend the Park Pizza Tool.